The 2019 Open Enrollment Period for health insurance begins on Thursday, November 1, 2018, to Saturday, December 15, 2018. The easiest way to get a new health insurance plan is during the open enrollment period. Do you qualify for a premium tax credit? You might qualify for a premium tax credit that lowers your monthly insurance bill. The amount you can receive depends on your income. It is also called a “subsidy”. 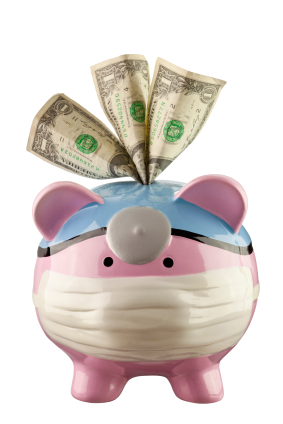 The money is used to lower the cost of your health insurance premium. Those who qualify for a premium tax credit must purchase their health insurance coverage through a Marketplace. The “subsidy” cannot be used anywhere else. The Medicaid program is offered in many states to families and individuals who have incomes that are below a certain amount of money. The amount may differ from one state to the next. Each state will have their own rules about who can qualify for Medicaid. It is worth taking a look at to see if you qualify. Can you get health insurance through your employer? Find out what the health insurance your employer offers will cost. Does it cover the things that you, and your family, need? How much of your paycheck will be taken away in order for you to pay your health insurance premium? The answer to those questions may reveal if you can get a better deal through your workplace, or if you should buy insurance from a broker. Are you under the age of 26? People who are under the age of 26 can say covered under their parents’ health insurance plan. The parent pays the premium, and the bills (generally) are sent to the parents. It’s an excellent idea for college students who are going to school and cannot take on a full-time job. It’s also great for recent graduates who are struggling with student loan debt and who have not found the type of job that offers health insurance coverage.